Representatives across the nation who have exhibited initiatives of national relevance are invited to Coordinators workshop. These coordinators are selected based on an interview by a respected panel and members from Core Working Group. 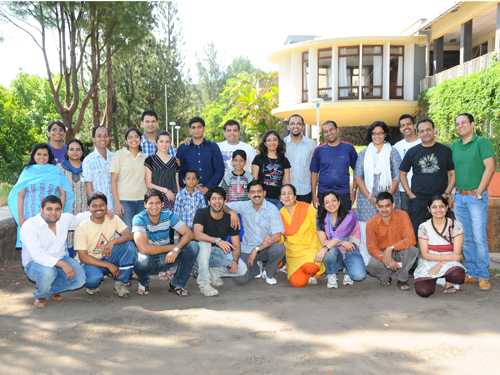 During this workshop this group is trained and guided to be change leaders in various spheres of their passion. They interact with mentors who have spent considerable time with the principles of Initiatives of Change (IofC), so that coordinators can reconnect with their core values. They are also trained to handle groups, conduct discussions and enhance their leadership skills. They spend several days to introspect their role in Nation building. They also brainstorm on various other opportunities to introduce change in private public sector and NGO's activism etc. During this workshop these coordinators are assessed based on 15 key qualities that are expected to be exhibited in their lives inside Asia Plateau as well as outside. The exhaustive Quiet Time for several hours results in closer bonding, common values and shared vision of nation building. Added benefit is the personal interaction with Mentors and Advisors who are change leaders in society and corporate.